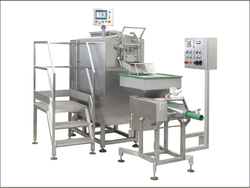 DIMA, Italy – all production machines for mozzarella cheese, vats for milk treatment, milk coagulation. Curd slicing, cooking-stretching and moulding of any type of pasta filata cheese (mozzarella, fior di latte, pizza cheese, etc). 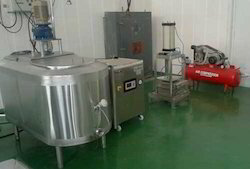 A large range of all stainless steel churns with capacities from 265 gallons to 2, 200 gallons: equipment for pumping, heating, cooling, blending and packing of butter is also available for a wide range of capacities.